Remember the first time you visited an unknown brand’s website? Like most people, you would have been cautious, if not apprehensive. You don’t know the quality of their products nor how others perceive the brand. A lack of customer trust is one of the biggest hurdles to better conversions. By addressing these fears, uncertainties, and doubts (FUDs), you can greatly increase your conversion rates. 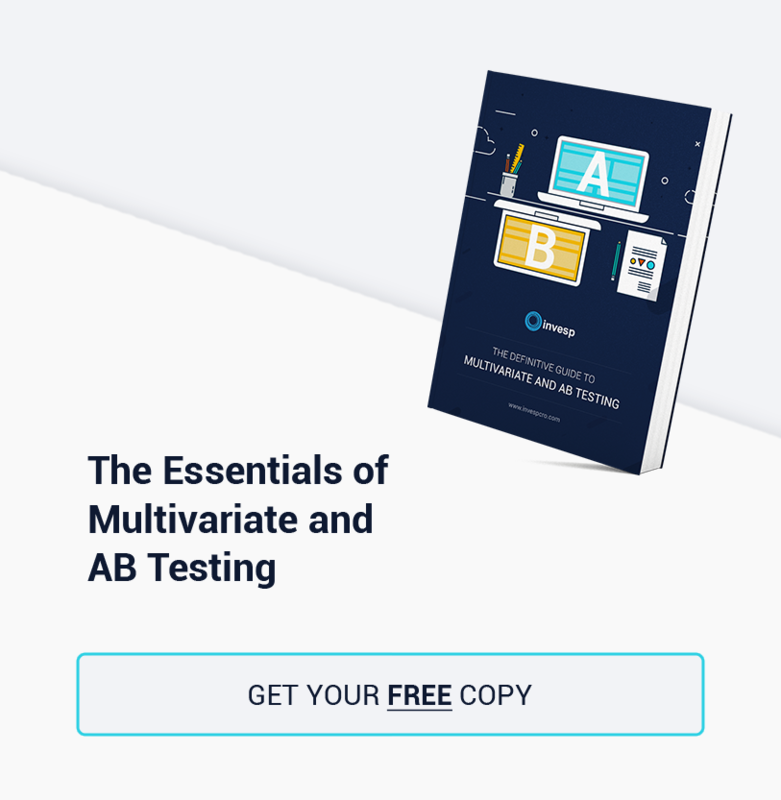 In this post, I’ll show you 7 easy ways you can address customer fears and anxieties to improve conversion rates. One of the greatest disappointments as an online business is when customers add a product to cart, proceed to checkout, and then never complete the purchase. They were clearly interested in your product, so what caused them to abandon? The answer is usually unexpected or hidden costs such as shipping. 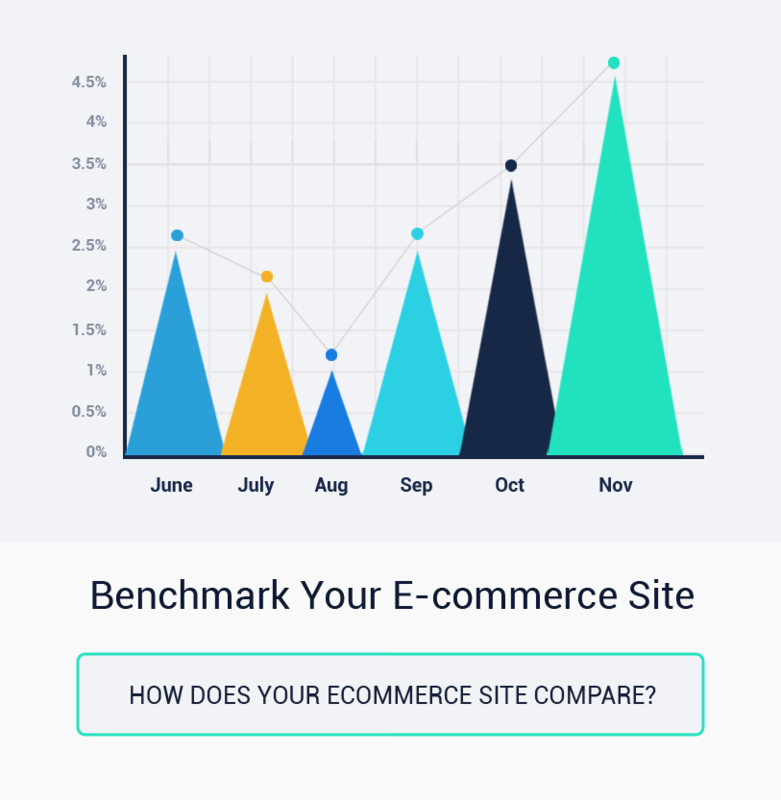 In fact, High shipping costs is one of the top reasons why shoppers abandon their shopping cart. By assuring customers what your shipping charges are up-front (if any), you will ensure that customers don’t get a “sticker shock” and abandon their purchase halfway. 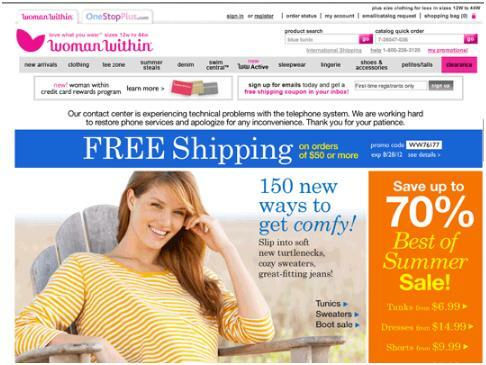 For example, Woman Within lays it out bare by mentioning “free shipping above $50” right on their homepage. Humans are social creatures and they will conform to actions of others under the assumption that they are reflective of the correct behavior. In marketing speak, this is called ‘social proof’ and it is a powerful tool to reduce customer fears. When you provide social proof, you demonstrate how others are using your products. More importantly, you indirectly signal how happy others are using your product and paint yourself as a brand that people love. 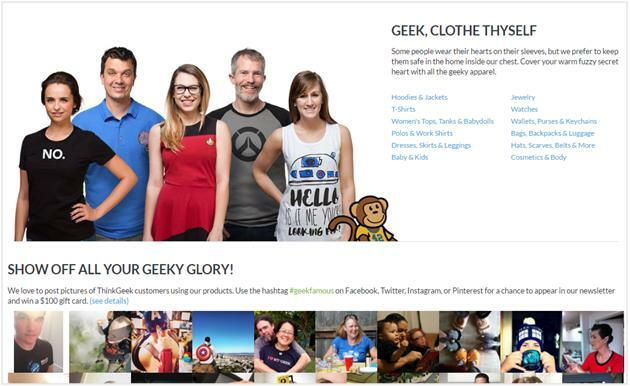 For example, when ThinkGeek uses pictures of customers using their products instead of professional models, they are telling potential customers that their products are made for the average person, not some paid model. 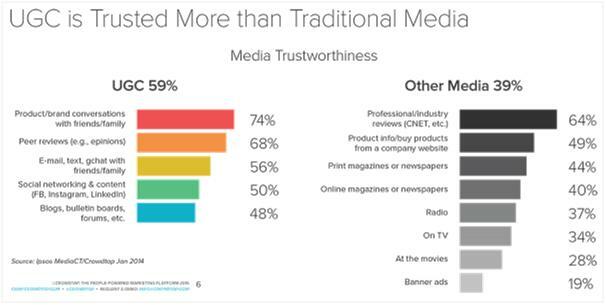 In fact, according to one study, such user-generated content (UGC) is significantly more trustworthy than professionally shot pictures. If you can source pictures from customers (usually by giving them an incentive to share, such as a gift card or running a contest), you’ll see a big bump in your conversion rates and trustworthiness. In one study, adding customer photos and reviews to a small hotel website boosted conversions by 17.8%. 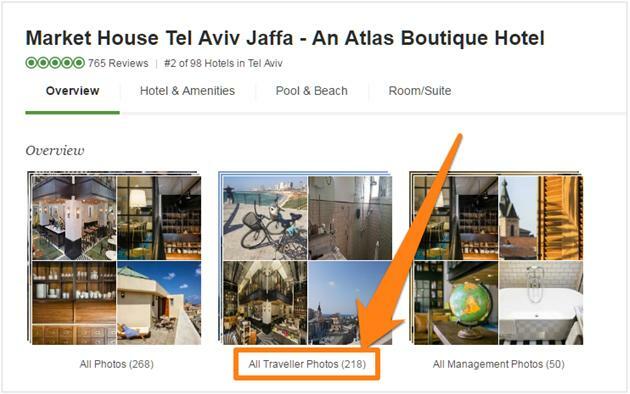 This is one reason why TripAdvisor prominently featured guest pictures on all its hotel listings. Everyone loves a money-back guarantee. A competent money-back guarantee essentially gives customers a fall-back option if they are not satisfied with their purchase. If customers know that they can safely return a product anytime within a given time period (usually 30-60 days), they are more likely to move ahead with the purchase. When Neil Patel added a 30-day money back guarantee to his product the traffic system, he was able to increase sales by 21%. Interestingly, not many people actually ask for their money back. In Neil’s case, only 12% asked for a refund. Offering a money-back guarantee is also a powerful way to brand your business. A truly customer focused business would ideally offer customers the option to return any purchase if they weren’t satisfied with it. Zappos does exactly this by allowing customers to return items within 365 days and without having to pay for shipping charges. This aligns well with the Zappos mission of building a customer-centric company. Potential customers are likely to be uncertain when it comes to shopping for items such as clothes or eyewear. Without being able to try them on, customers are hesitant to pull the trigger as they can’t figure out how the product will look on them. You can overcome this hurdle by giving customers a way to try the product. 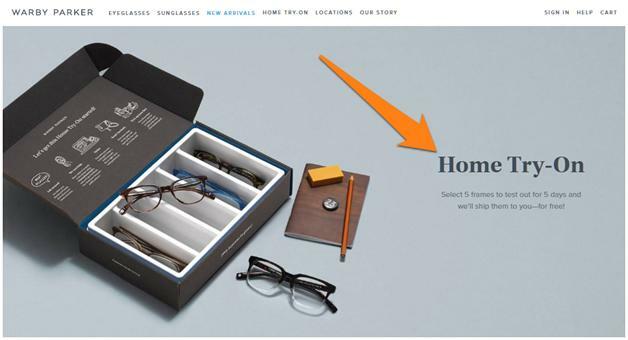 For example, WarbyParker, an online lenses and frames retailer, delivers five eyeglass frames to customers (free of cost). From these five they can pick the one they like. Or you can go the high-tech way like Lenskart. This retailer (again, of eyeglasses) asks customers to take a selfie. This selfie is then uploaded to the LensKart site after which they can virtually try on frames on an accurate 3D model replication. 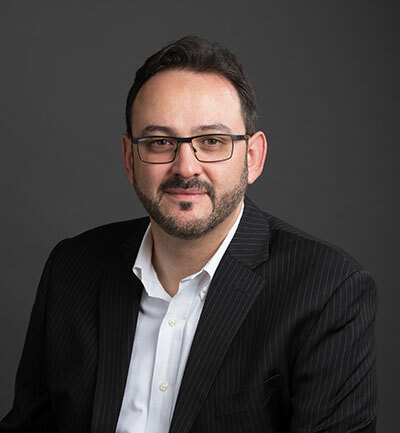 When customers enter a store, they are subconsciously exposed to trust indicators such as products being in-stock, clean storefront, and presence of other customers to build trust. Online, there is much less information to go on. Therefore you must find ways to replicate above trust indicators to make customers feel comfortable, especially when it comes financial safety. For instance, a study says that over 2/3rds of Americans are not comfortable sharing their personal and financial data online. Remember the Target data breach in 2015 which affected over 40 million customers? Cases like that make people wary. To remedy this, you can try adding trust symbols such as a Norton, McAfee, or BBB badge will ease those fears and help increase your conversions. Trust symbols don’t have to be limited to security badges. Depending on your industry, you might show certifications from respected industry organizations as well. 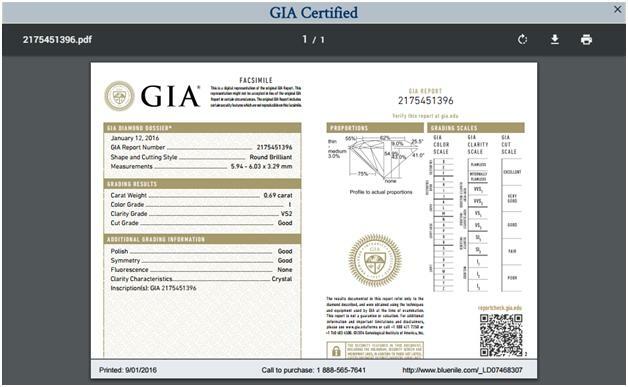 BlueNile, an online jewelry store, offers customers PDF copies of GIA (Gemological Institute of America) certifications for each diamond. When people shop, they expect to have their questions answered in-real time and with precision. 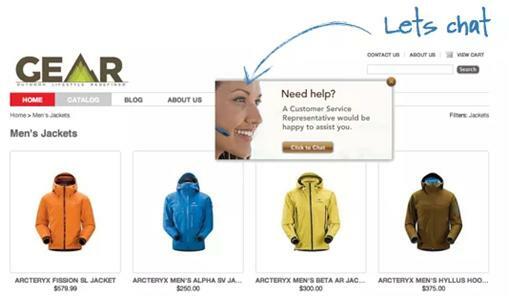 While this is easy to address in a physical store with salespersons, providing this service online can be tricky. By offering a live-chat feature where customers can get answers when they want them without having to sort through a FAQ or having to wait on the phone. In fact, 83% of online shoppers need support to complete a purchase. Some customers will want to know more about your brand and company culture before they commit to a purchase. After all, any purchase is a lot like starting a new relationship; it’s not unusual for customers to want to know what kind of people are behind this relationship. One way to do this is by humanizing your website by adding photos of people and creating an inviting “about us” page. On your “about us” section, be sure to include your physical address, a brief history of your and its philosophy, and again some pictures of your team members wouldn’t hurt. 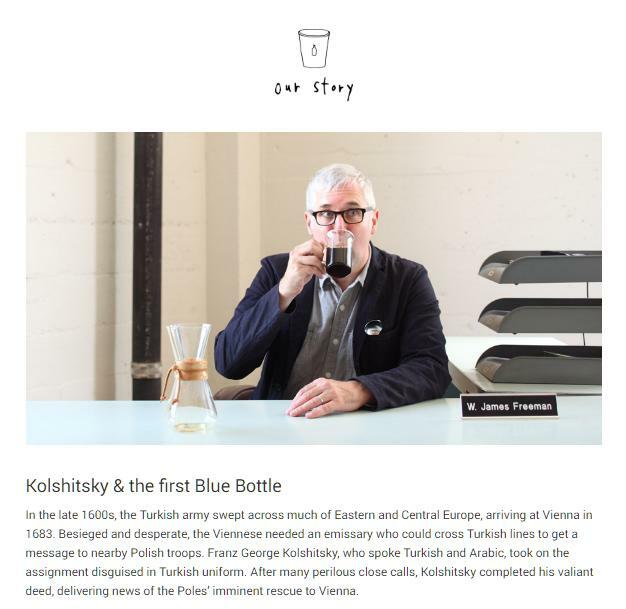 Blue Bottle Coffee takes the more traditional route and offers a detailed background story of the company and its origins. Your customers are wary by nature. Whenever they approach something which is unfamiliar to them, they will tread carefully. Until their fears, uncertainties, and doubts are cleared, they will remain indecisive. For a business owner, that translates into a lost opportunity. 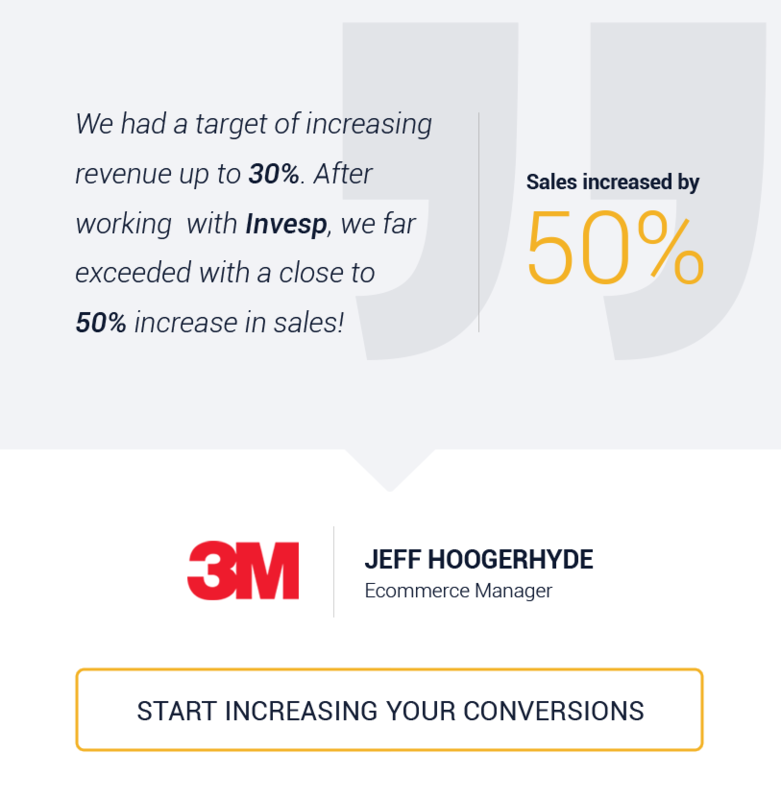 Implementing the above tactics will help ease those fears, keep customers on your site longer and improve your conversions.